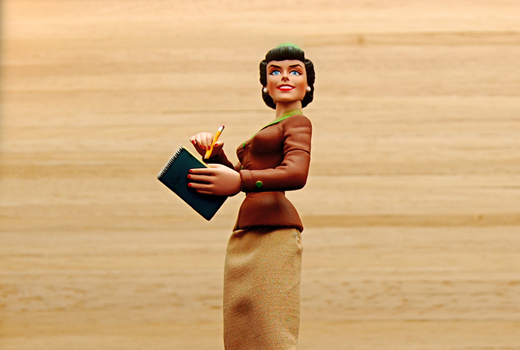 Write Livelihood | Helping nonfiction writers make their best work better. The Take-Away: An amazing blending of memoir and writing instruction, this book goes above and beyond the call of duty, helping writers find their voice by learning how Nestor found hers. The Review: Some people working in nonfiction, crusty old journalists like myself included, grow a bit antsy when the damnably vague word “voice” is thrown around in a how-to book on writing. And yet we all know what it means, and how important it is in the success of a story, especially in first-person pieces or in genres like memoir. It’s hard to teach voice, I thought before reading this book. As with literal voice training, one shapes one’s voice by listening to it during repeated practice attempts, no matter how off-key or squeaky those attempts might sound. While developing a distinctive writing voice is still seems challenging, Writing is My Drink is a tonic that will steady the nerves through Nestor’s accessible prose and provocative writing prompts. Theo Pauline Nestor, author of Writing is My Drink. The book, on its most surface level, tells of the author’s journey as a writer and how she went from struggling dilettante to successful writer and writing teacher. But this isn’t the type of writer’s memoir where you feel as if the writer is now standing off to the side, detached from the memories and the effort it took to get where he/she is now, and chuckling with some sort of holier-than-thou attitude. Nestor takes us back to the trenches of her early writing days, and reveals her vulnerability and off-the-mark attempts as she learned her craft. What separates Nestor’s volume from so many others in this genre (and I should know – I own most of them produced in the last decade and a half) is her commitment to unflinching honesty, both in what she shares from her past and what she encourages the reader to mine for their writing material. Also outstanding are Nestor’s writing prompts/exercises. I often find prompts esoteric or unappealing, but as with the exposition and narration in her chapters, the exercises encourage the reader to dig deep and write about things that really matter them – a key feature in developing a distinctive, coherent voice. I especially liked her set of prompts related to building community and companionship into one’s writing practice, because I think that’s an aspect of writing that often gets ignored in favor praising a writer’s ability to slave away alone in their garret. 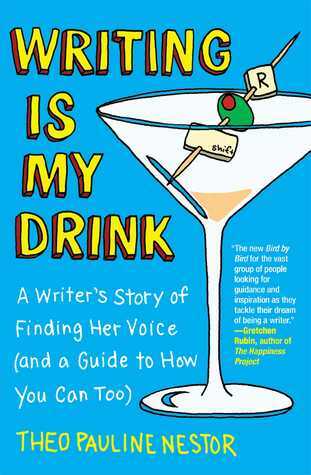 Author Gretchen Rubin, in her testimonial on the paperback cover of Writing is My Drink, compares it to Anne Lamott’s Bird by Bird, and I have to say I agree. On a personal level, both books really resonated with me due to their honesty and dedication to getting at the truth of one’s life. If you’re looking for a book that will help you translate what you feel in your heart onto the page, you may very well find Writing is My Drink to be your cup of tea. The Take-Away: The Editor’s Eye is a great introduction to the craft of editing for authors who are writing a book and wondering how the editing process works. It also makes a compelling case for WHY having your book professionally edited is necessary to ensuring the tome’s success. The Review: I have a reputation in my family for being ridiculously “meta,” so when I heard about this book – which provides an overview of editing a book – I knew I would love it. And in today’s changing publishing environment, it’s no longer a given that everyone involved implicitly accepts that editors are an integral part of the process. 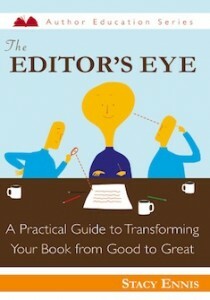 The Editor’s Eye is aimed at first-time authors, but is studded with tips that can help more experienced writers find a good editorial team and can provide editors with new and powerful ways to explain what they do and how it adds value to a manuscript. One of the biggest strengths of the book is that it is able to provide a reality check for those new to publishing. She provides advice that helps writers learn how to incorporate editing into the writing process from the very first draft – wait, scratch that, from the outline of the book – and devotes a chapter on how to find and work with an editor. Her guidelines, while not dictatorial or rigid, provide boundaries that can help would-be book authors know of they are on track … or not. The Editor’s Eye is a great gift to a new author embarking on a project, an editor who wants to move into book editing (or explain what he/she does more clearly), or anyone interested in the process of how books come to life. Photo courtesy of Mateusz Stachowski via SXC. Scott Berkun, author of Confessions of a Public Speaker and Myths of Innovation, provides a concise battle plan for how he was going to revise his forthcoming book, A Year Without Pants. It’s a great glimpse into one way to integrate line and structural edits with feedback from others. So much ink is given to producing first and final drafts, it was a real treat to see a post about the work that must be done in the middle. I ordinarily wouldn’t post a story from 2007, but much of what’s been written by Nielsen, whom some would call the godfather of web usability, is still highly relevant. He goes onto note that it’s not the fault of blogging platforms – it’s the focus on cheap, uninformed “me-too” content that degrades it to commodity status. Writing the past is never a neutral act. Writing always asks the past to justify itself, to give its reasons… provided we can live with the reasons. What we want is a narrative, not a log; a tale, not a trial. This is why most people write memoirs using the conventions not of history, but of fiction. It’s their revenge against facts that won’t go away. Margaret Looney, writing on the PBS MediaShift blog, provides common sense advice for tackling a story that’s going to be deployed across multiple platforms. Each tip comes with several tantalizing examples. Young journalist Stephanie Schaefer discusses how reporters of any age can stay passionate, and keep their careers viable, in today’s greatly altered media landscape. She encourages writers to study and leverage how readers are engaging with content these days (mobile/social media), to learn how to craft or collaborate with others to create integrated, multimedia/multisensory story experiences, and to retain a passion for storytelling. I couldn’t agree more with her points, and her optimism is refreshing without seeming naive. Overall, a very interesting look at where journalism is headed, and how embracing this evolving role might also help make the new ventures more profitable/viable, as well. If you’re drawn to the increasing number of good-paying gigs in content marketing, but are wary of tarnishing your reputation in traditional media, you need to read this piece. Get ready for a new way to engage with workshop/presentation content: this Storify version of a talk presented by Will Coley, nonprofit staff member turned public radio evangelist and Minnesota Public Radio reporter Sasha Aslanian includes an embedded slideshow on Prezi (which sort of blows PowerPoint out of the water …), live-tweets from the talk, and text summaries of their remarks. You can also access their radio example, an interview with Valencia, a local Twin Cities teen experiencing homelessness. The thing I found most useful, as an aspiring audio producer, is the list of advantages to using audio for nonprofit storytelling. One that’s right at the top is that audio provides greater anonymity for subjects who may be in situations which call for confidentiality and privacy, while retaining a sense of intimacy with listeners. Another advantage for audio is that it is far cheaper to produce. If your organization is thinking about multimedia storytelling, and they seem to have overlooked audio-only content, read/view/listen to this post and you can advocate for adding public-radio style audio storytelling to the mix. Get Help. Track down people who have been awarded grants before and ask them for advice. If you’re like me, you’re not naturally inclined to ask for help and you haven’t done anything like this before. You’re learning while doing. Don’t be afraid or ashamed to ask for help. The best way to save time is to gather all the helpful tips from those who have tried something similar before. Learn some business. You will need at least a basic understanding of business concepts, or have a partner who does. Not everyone majored in business — I’m finally glad I did. Again this is where research is your best friend. Take a class, ask for advice, and use that Internet. Stephanie Yamkovenko, a freelance journalist in the Washington, D.C., area, discusses how she overcame her fears of tweeting and discovered that Twitter could be a boon, not a bane, to her career. Early adopters may find some of her former fears somewhat exaggerated, but I think this post is a great comfort to more old-school journalists who still wonder what the hoopla is about and how to use the platform responsibly. I’m no ideologue, but I prefer not to share my opinions publicly and was afraid these might “slip out” on Twitter. I’ve found it’s possible to stay politically neutral on Twitter, though it does take some effort. Before I follow someone or retweet something, I try to imagine how a reader might interpret that action. If it would make someone question my objectivity, I don’t do it — just like I don’t put campaign signs in front of my house or bumper stickers on my car. Leo Widrich, co-founder of Buffer, shares brain research that articulates precisely why storytelling produces such a profound impact on our brain and the brains of others. He also provides several tips for leveraging that power to accomplish your goals in terms of influence with other people using storytelling. It’s not just employees and others who want to blow whistles who need to be more careful — such as using external accounts, encryption and a lot of other tools to be safer. (Note: I didn’t say “safe”, because absolute safety is exceedingly hard to achieve, if it’s even possible.) Journalists, too, need better tradecraft when it comes to their dealings with sources. My impression of the typical newsroom’s precautions is that there aren’t many. It’s a great introduction to a topic I have to admit I hadn’t really given much thought to before. The point is, every one has false starts and stumbles. Everyone falters and fails, particularly on the way to doing important work. Although each of these were disappointing and painful at the time, I learned something important from each of them. 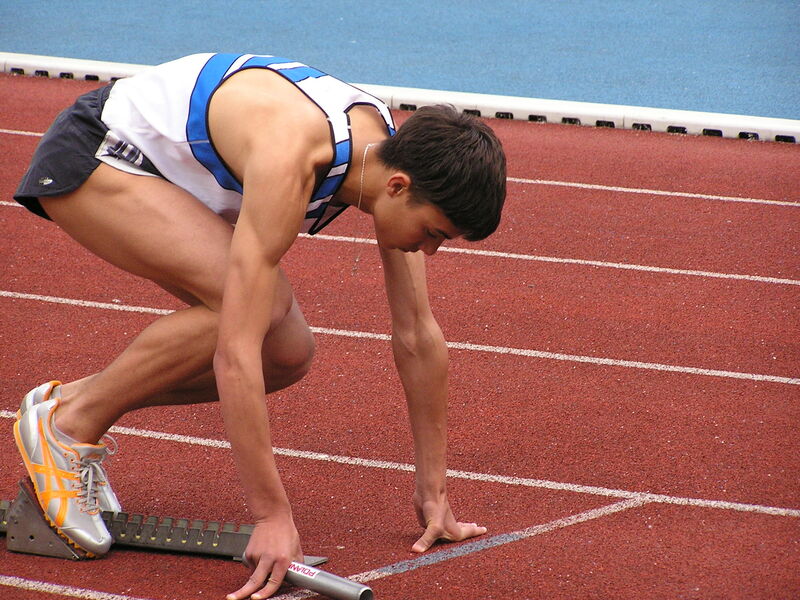 Don’t be set back by your personal false starts. The people who make it in the end are the ones who pick themselves back up, dust themselves off and get busy again. As long as you learn something from them they haven’t been a waste of time. The Nieman Storyboard blog, a project of the Nieman Foundation for Journalism at Harvard, provides links to 34 pieces of narrative nonfiction in a variety of formats. The list provides access to a sumptuous feast to sate your end-of-the-year reading hunger, and it’s a great guide to writing/editing/producing excellent stories. Tim Sanders of Net Minds publishing company discusses five valuable lessons his literary agent, Jan Miller, taught him. I like the point he makes about focusing on writing a strong book, rather than expecting promotional tricks to drive everything in terms of sales. A book must “work”. Promotion just gives it a chance to work – (Jan) learned this working with all of her authors over time. 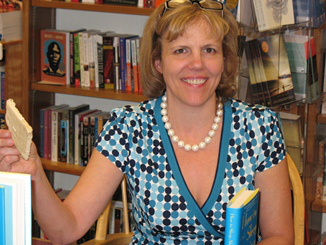 Her point is that books must connect deeply with readers, so the reader tells all of his friends to buy the book. While you sleep, your book is working, promting itself via its quality. 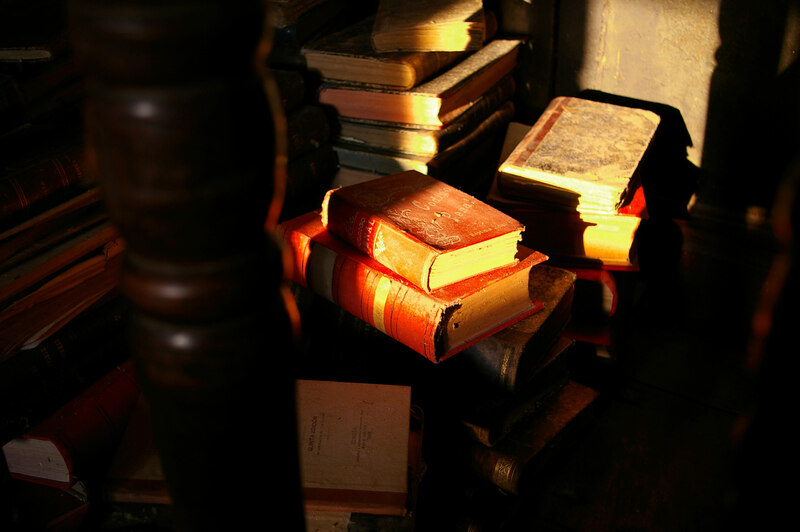 Without word-of-mouth or BIG media, books languish in obscurity. Marketing and promotion places the book into enough hands for the resulting word-of-mouth to make a big difference. To write a book that works: Write what you know and then show us who you are. Be generous, helpful and provocative. Darren Rowse, creator of ProBlogger, offers his opinion on the blogging-for-money question, based upon his experience and those of the people with whom he interacts and works as the owner of a blog about blogging professionally. I found the post very matter-of-fact and grounding. Here’s a sample of what he has to say, in this case about whether there is a single formula to follow to make a living as a blogger. From time to time, people have released products that claim to be formulas for success when it comes to making money online. 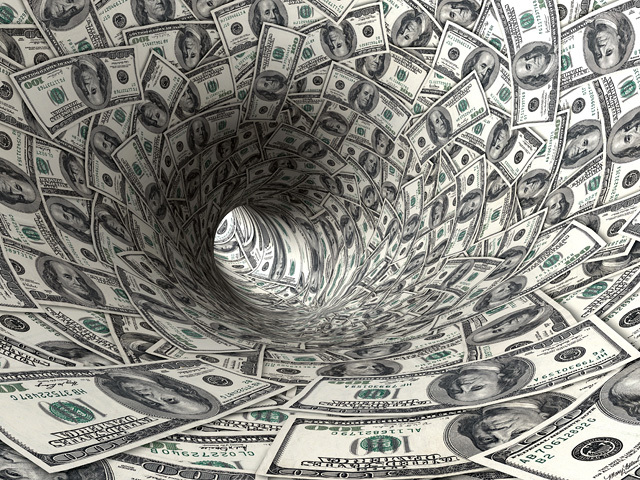 They outline steps to follow to “guarantee” you’ll make money. In my experience there is no formula. Each full-time blogger I’ve met in the last ten years has forged their own path and has a unique story to tell. They have often acted on hunches and made surprising discoveries along the way. There are certainly similarities in many of the stories but each blogger has their own personality and style, each one is reaching a different audience, and each niche tends to monetize differently. The key lesson is to be aware of what others are doing and to learn what you can from each other, but to also be willing to forge your own path as well! Now, self-editing is fine. Going through your manuscript’s rough drafts several times over a period of weeks searching for errors and omissions, perhaps even reading the text aloud to catch awkward phrasing or redundancies or overcomplicated construction, is certainly not going to hurt—and possibly might even improve—your writing. But let’s face it, there’s only so much self-editing an author can do. Frankly, you as the author are too close to the subject matter to be objective, even if you take a break from the material and come back to it later. A long, wonderful compilation of two presentations from the Power of Storytelling conference that occurred in Bucharest, Romania, last month. Banaszynski is one of my editing role models, and her presentation on what will happen to narrative in the future is amazing and eloquent. I see the connection between that history in the past and what I do now. The troubadours, the scribes, the people who carried fire from camp to camp in Indian tradition because they carried the stories along with it. I also now see that future, that need to recognize that stories are as eternal and essential as humanity itself. We too often in our anxiety confuse the means of delivery with the essence of what we deliver. Sure, how we tell our stories matters. And we must master as many ways of telling stories as there are stories to tell. But the center that will hold is the story itself. Stories will survive and be needed as long as human beings survive. So, lawyers, accountants, investors. That’s the way I spend most of my time now. It was very difficult for me because here I am, fancying myself a writer, and trying to make it in the world of narrative journalism, and suddenly I’m doing all these things I became a writer not to do. I think the lesson here is one that I’m still grappling with. I think that sometimes you just have to get over yourself, and sometimes you just have to survive. And this is what we had to do to survive. We had to do things that we were not ready to do and I think that is true for a lot of journalists who want to strike out as freelancers, who want to write things that are different from what your editors want you to write, and you want to go out in the world and find new magazines and find new homes. 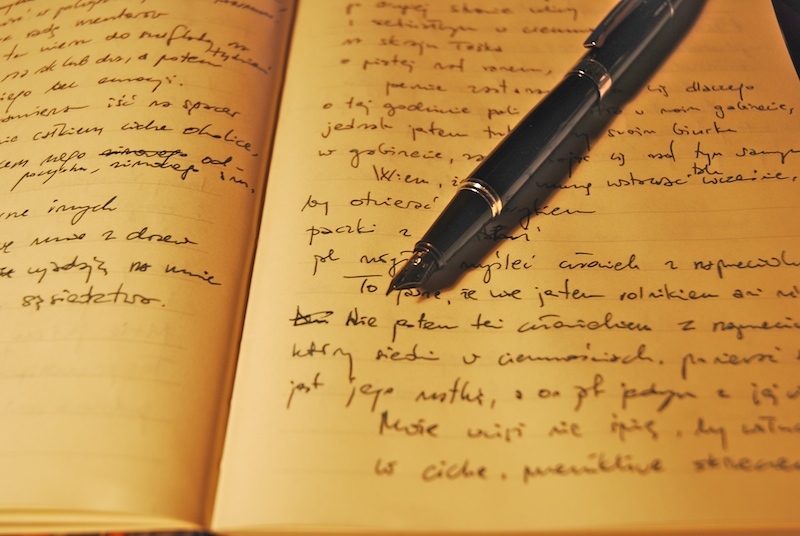 Marelisa Fabrega shares two dozen quotes from writers that address how to write fiction, although there are plenty of tips among them that can easily apply to nonfiction writing, as well. Authors quoted include Issac Asimov, Anne Lamott, William Saroyan, and Joyce Carole Oats. Thanks to Facebook and Twitter, connecting with fellow freelancers has never been easier. Knowing who’s writing, and who they’re writing for, gives you a good sense of which publications are open to taking freelance work. Get to know other freelancers on social networks and, once you’ve built a rapport with them, ask them to introduce you to their editors. While cold-pitching works, your success rate will be much greater with a personal introduction. The article also has a replay of a Poynter-sponsored web chat with Winegarner on this topic embedded with it, which is a nice plus. From The Archives: Can This Profession Be Saved? Can This Profession Be Saved? I’ve finally read the synopsis of Leonard Downie Jr. and Michael Schudson’s report, “The Reconstruction of American Journalism, ” in the Columbia Journalism Review, as well as a number of reactions to it. I appreciate that CJR let the authors publish such a rich (30-page!) summary of their 100-page report. Downie, a former executive editor for the Washington Post and currently a professor of journalism at Arizona State University, and Schudson, a professor of journalism at Columbia University, provide their take on what has led up to the current sad state of affairs at American newspapers, and to a lesser degree, at television and radio stations. They discuss the approaches of a number of new media operations (and are generous with links to the projects in question) and suggest several possible new business/nonprofit support models for the industry. Whether you end up thinking the authors are offering sage advice to journalists, or are off in left field, you really should read the CJR synopsis or the report. It’s important that those of us working in the media have a say in what happens to our profession in the future, and the only way to do that is to be aware of where we’re at now and what people are doing NOW to adapt to the challenges and opportunities the Internet Era has brought us. Downie and Schudson present a variety of options for fixing the current situation from across the business spectrum. They discuss multiple variations on publicly funded media, as well as foundation-endowed news projects and hybrid corporate/nonprofit news operations. By doing this, they are acknowledging that one model will not fit all in the future, and that journalists need to consider the context of their news operation or project when devising a funding plan. 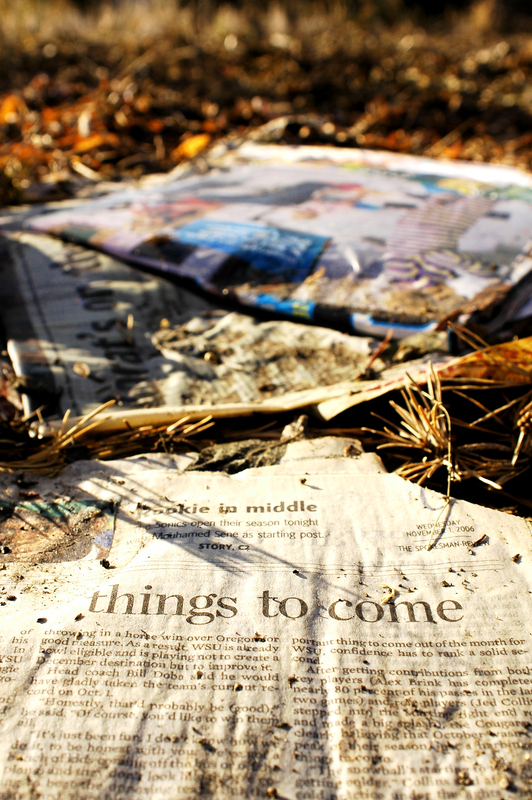 The authors rightly identify local news coverage as one of the biggest casualties of the shifts in journalism over the past two decades, and do propose several ideas for reviving it. While local involvement and participation seems to generally be associated with our “bowling alone” culture, there are plenty of people who do care about it, and who now have fewer mainstream media resources for tapping into news about the community they live in. I immediately noticed that there is almost NO discussion of the fate of the magazine industry, perhaps because that’s what my degree is in (magazine journalism) and because I have worked for nearly all my career as a journalist for magazines—either as a freelancer or a staff writer/editor. I believe that magazines had to face the decline of the so-called “mass media” far earlier than newspapers, after the death of “general interest” magazines such as Look, Collier’s and LIFE in the 1960s and 1970s. By the time I was taking j-school classes in the 1980s, we were told that starting a magazine was much like starting a restaurant—if you know what you’re doing (business-wise) and can self-fund for part of the first five years in business, you have a good chance of making it. Notice that in that description there is no mention of whether the content (or the food) was any good, if competitors were using unfair tactics, or whether customers were reading (or going out for sit-down dinners) less and less. The focus was on establishing a niche and a business model first and foremost. Paying attention to the market, as well as knowing your craft well enough to produce a quality product, were also assumed parts of that model. On a related note, Downie and Schuder make huge assumptions about the audience for news content and how they will, or should, behave. To be fair, this is something I’ve noticed over and over again when I read essays of this nature written by newspaper-based journalists. The report doesn’t focus much at all on what readers/viewers/listeners are telling journalists about how they’d like to receive their news, or what sorts of news they’d consider worthy of paying for online. The authors even go so far as to proclaim that “American society must take some collective responsibility for supporting independent news reporting in this new environment,” and wonder out loud in another section whether journalism is a “significant public good whose diminution requires urgent attention.” These are important issues, but this mindset, coupled with a lack of curiosity or genuine connection to one’s audience, comes across as preachy and pedantic—not the sort of vibe one wants to project to attract supporters to an important cause! Finally, the report points out one of the largest challenges in journalism’s current crisis—we can’t seem to decide if we’re a profession best suited to entrepreneurial or philanthropic support. I like the fact that the authors include both for-profit and nonprofit approaches to new media, but the way in which they are presented serves to highlight the lack of business sense many of us in the field seem to exhibit. What is it that newspapers do? They’re businesses. Wait, no, maybe we should run them as nonprofits? Wait, maybe we can sell ads and get foundation grants, too? It bothers me that so many of their suggestions rely on government intervention, although I share their opinion that stronger support for radio and televisions stations receiving money through the Corporation for Public Broadcasting would be a good thing. I am a huge fan of public media; however, I also believe that journalistic enterprises can be successful as for-profit businesses. It remains to be seen how that will happen in the future—my feeling is that the “large public” that the authors seek to have journalism’s best work presented to may have already been replaced by a series of balkanized niches, each one hungry for content, but only within a narrow spectrum of interest. Please use the comment section below to chime in about your reaction to the report, or the state of American journalism in general. Narratively is a digital platform devoted to original, true, in-depth and untold stories. … Each week Narratively explores a different theme about New York and publishes just one story a day, told in the most appropriate medium for each piece. So, Monday might yield a longform essay, followed by a short documentary film on Tuesday, a photo essay on Wednesday, and an animation on Thursday. Fridays, we run a section called the “Park Bench” where we curate meaningful responses we’ve generated from our audience throughout the week, and we publish behind-the-scenes elements from our stories; the “Park Bench” is all about featuring different perspectives on each week’s theme. He also explains the relaxed approach to editorial meetings that’s alluded to in the post’s title – and I have to say, this sounds good to me! We like to refer to our weekly editorial gatherings as more “soiree” and less “meeting.” They’re very informal affairs that are as much about story-generation and feedback as they are about forming bonds within our passionate group of contributors. I’ve always loved bringing new people together and it’s been so rewarding to help foster friendships and connections all in the name of good times and great storytelling. 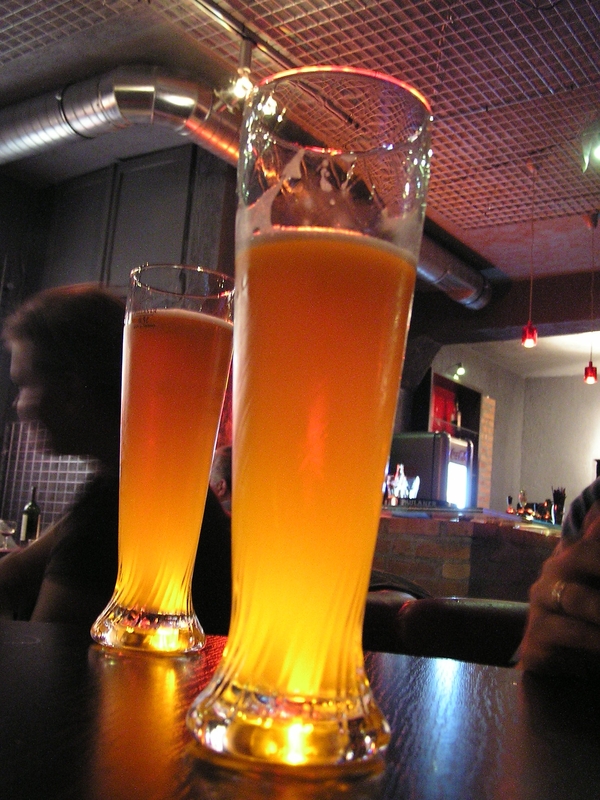 The beer and the bar snacks are just a backdrop to some energizing discussions about important stories that would otherwise remain untold. John Paul Titlow explains how radio journalists and many other writers are using Soundcloud, a social media tool that allows anyone with an account to share sounds with other users. Radio producers and podcasters are expanding their audience with Soundcloud; content experts such as Robert Scoble are publishing interviews with thought leaders, and The Huffington Post is using the service to crowdsource coverage of political robo-calls readers are receiving this election season. I am just scratching the surface of what Soundcloud can do, so this story was an inspiring prompt to dig deeper. Jason Boog offers a list of editors, from a variety of genres and specialties, who have a presence on Twitter. It’s a great resource if you’re a writer or editor looking to make friends with social media folks who tweet, and the bios/intros for the editors on the list are instructive in and of themselves, in terms of how to be eye-catching in your introductory statement. The Millions, an online magazine offering coverage on books, arts, and culture, asked its readers who are writers to send them photos of where they worked. The photos are both a little astonishing (to me) and reassuring: from the writer who uses a guest bed to create a “writing nest,” to the scribe who created her own improvised standing desk to the gentleman who writes on a Royal manual typewriter and edits and transcribes on a Mac, each set up is quirky, individualized and tells a story about the storyteller. 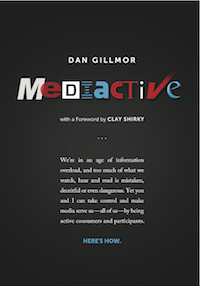 I was lucky enough to grab an e-copy of Dan Gillmor’s book, Mediactive, on Amazon while it was 99 cents. Although the price has since gone back up to $5.99, the book is well worth it. It’s a great read for anyone who cares about the present and future state of journalism as it’s practiced in America, and works equally well for journalists and other nonfiction writers and those who simply wish to know about the world around them via the media. Gillmor is the director of the Knight Center for Digital Media Entrepreneurship and the Kauffman Professor of Digital Media Entrepreneurship at Arizona State University. (And in interest of full disclosure, I’ve interacted with Dan in my day job at ASU, via a podcast on writing today and asking him to judge a writing contest for the magazine I edit.) Before coming to ASU, Gillmor wrote the book We the Media and was a technology columnist for the San Jose Mercury News from 1994 to 2005. The main thing that makes the book so good is Gillmor’s ability to parse both the current state of American media and what skills citizens need to cope with the implosion of traditional journalism’s business models. As a consummate participant-observer in the new media landscape (and a veteran of the old-school newspaper industry), he’s well equipped to critique what went wrong with journalism over the past 20 years, why it hasn’t adapted well to the rise of the Internet and digital culture in general, and what exciting experiments are going on along the fringes that are poised to move to the mainstream soon. Welcome to 21st century media. Welcome to the era of radically democratized and decentralized creation and distribution, where almost anyone can publish and find almost anything that others have published. Welcome to the age of information abundance. And welcome to the age of information confusion: For many of us, that abundance feels more like a deluge, drowning us in a torrent of data, much of whose trustworthiness we can’t easily judge. You’re hardly alone if you don’t know what you can trust anymore. But we aren’t helpless, either. In fact, we’ve never had more ways to sort out the good from the bad: A variety of tools and techniques are emerging from the same collision of technology and media that has created the confusion. And don’t forget the most important tools of all—your brain and curiosity. Mediactive is useful to both professional journalists and those who care about what happens in our society because he discusses skills needed by both media producers and their so-called consumers. He focuses especially intently on work being produced by those who are not traditional journalists, but who create media that gets into our virtual news feed, including bloggers or YouTube’s amateur broadcasters. While he often notes the shortcomings of such work, he generously praises citizen-journalists and nonprofit organizations for engaging in what he calls “almost journalism,” producing fact-filled background reports that shed light on stories the mainstream media misses. Professional journalists claim independence. They are typically forbidden to have direct or indirect financial conflicts of interest. But conflicts of interest are not always so easy to define. Many prominent Washington journalists, for example, are so blatantly beholden to their sources, and to access to those sources, that they are not independent in any real way, and their journalism reflects it. Mediactive is potentially useful to a wide variety of people who care about journalism and other forms of nonfiction writing – reporters and editors, new media creators such as bloggers and podcasters, and ordinary people who care about what they read in the news and want to ensure they are truly well-informed. Gillmor walks newbie media creators through the essential tenets of trustworthiness (and provides an excellent refresher for the rest of us) without becoming pedantic or stodgy. The book, like the thinking behind it, is fresh, and Gillmor has used his http://mediactive.com site to make the book a living document, adding examples and continuing the conversation on these topics in his blog.